United States Utah: Top 10 Vacation Destinations – Traveling Epic! When I tell friends they should visit me in Utah. They often think I’m joking. Many of my European friends dream of visiting New York City, Los Angeles/Hollywood, or Las Vegas. What they don’t realize is that Utah a state easily dismissed as one of those states somewhere in the middle or above Las Vegas and West of Denver… host of the 2002 Olympics Utah has a lot to offer in National parks and a lot more. The perception of the world the US comes from T.V. and it’s amazing to me how some think that there’s really not much between New York City and Los Angeles. As a traveller myself I first saw most of the U.S. and grew up going to the mountains and parks of the Western US. 10. The largest man made hole in the world. Bingham open copper pit mine. This huge copper mine is impressive and can be seen from space! Complete with it’s own museum, you can see the tires of the huge mining trucks, the largest vehicles in the world. 9. Sundance, Park City, Alta, and Snowbird – Year Round Beauty. The Best Snow on Earth, and incredible resort towns all year round. Park City has many adventures has very visible remnants of the Olympics. Take one of many zipline downs the ski lifts and jumps, or take the alpine coaster or alpine slide one of the longest in the world. The Alpine coaster is more than a mile of track of loops, curves, and hair pin turns. l couldn’t believe Sundance and that amazing natural beauty. Known famous for the Sundance film festival and Robert Redford’s restort, conference centers and getaways. There is a lift open year round for full moon night rides, and a 45 minute round trip ride or one way up and mountain bike down the trails. 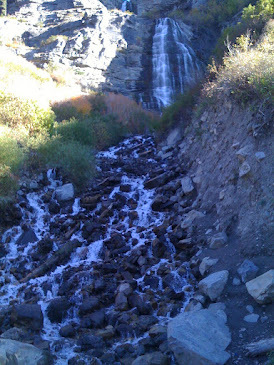 Big and Little Cottonwood canyon is a great escape for lake and waterfall hikes. Stop by Bridal Veil falls in the Provo Canyon on your way up to Sundance, or ride the Heber Creeper, an old steam engine locomotive that rides along the rack. 8. Visit Antelope Island The Great Salt Lake is a huge remnant left over of the ice age formerly known as lake Bonneville. Now a huge salty lake it reminds me a lot of the Dead Sea. A place I’ve visited a couple of times both from Jordan and the West Bank. 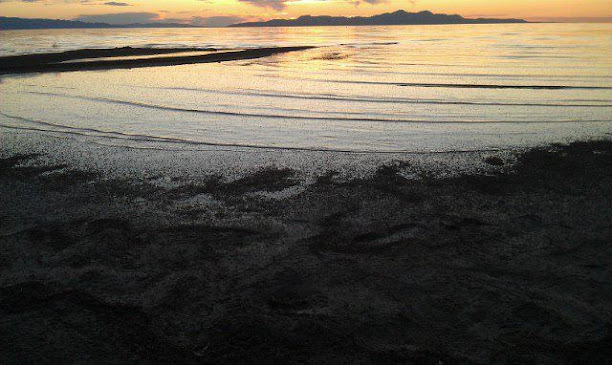 The Mormons delivered the Saints by their Moses like prophet Brigham Young called the Salt Lake Valley “Zion,” and the Great Salt Lake was their Dead Sea and Utah Lake the equivalent of the sea of Galilee. The Jordan River which connects the two is named the same. 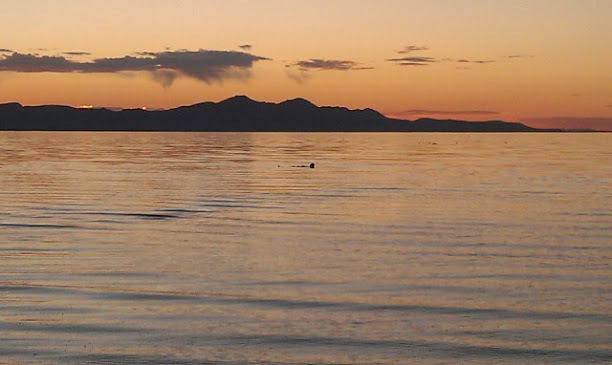 Antelope island state park is one the largest of the 9 islands on the lake and a great place to view wildlife including antelope, deer, bobcats, coyotes, many varieties of birds and waterfowl. Over 600 American Bison roam the island since 1893. Camping is available. On the South side of the lake you’ll find remnants of former glory the Salt Aire. Famous in the early 1900’s for balls, parties and even roller coasters. Much of the area was destroyed by floods. Now you can visit a small museum and venture out into the water if you dare. This side of the lake has a lot of brine flies and gnats. Unlike the Dead Sea, the Salt Lake has been introduced to brine shrimp also known as Sea Monkeys. 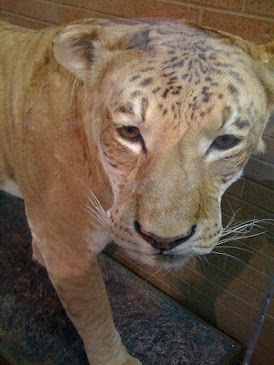 If you like Animals you may enjoy Hogle Zoo across from this is The Place Monument and Pioneer Village where people will dress up in period dress, or go to Provo and visit BYU Campus and visit the museum on campus to see a real stuffed Liger. Napoleon Dynamite was right, even take a day trip up to Preston if you’re a fan and stop by the city chambers office to get a map to locate his house, Pedro’s house and the Cuttin’ Corral. The 1.4 million square foot LDS Conference Center seats 21,000 with not a bad seat in the house. The organ has 7667 pipes! The choir has over 360 members and sings every week they are not on tour in the longest running radio program in history… Music and the Spoken Word. If you are in Jerusalem you can hear the pipe organ in the BYU Jerusalem Center. Within walking distance of Temple Square you can visit the Beehive house (pictured above). Home of Brigham Young, the first governor of Utah and Deseret and 2nd prophet of the LDS Church. Visit the famous Christus, and answer for yourself if the Mormons believe in Jesus Christ. The famous Salt Lake Temple is accompanied by two visitors centers where you can learn all about the history of the plight of the Saints who were expelled from the US, kicked out of Missouri and Illinois with an extermination order and later pursued by the largest US army ever assembled. It’s all worked out. In fact there are many Mormons in politics and in positions of power. Mitt Romney, presidential nominee has a great shot at the white house. In the Joseph Smith Building, Old Hotel Utah from the top floor you can see out over the Temple. An incredible view, where I got engaged to my lovely wife. The museum’s provide an amazing history of the settling of the West that is often overlooked. As well, the visitors centers tell the story of faith and how this restored church of Jesus Christ sprung up in the 1830’s in upstate New York to a Church with 6 million Americans and over 14 million world wide. Don’t miss the old Tabernacle and organ (pictured below). Tours are available for free. They’ll drop a pin and you won’t even struggle to hear it. Incredible. Be sure to stop by the Family History center, the largest of it’s kind in the world. The majority of the worlds family history records are here in Salt Lake stored in a granite vault up little cotton wood canyon, but the records are indexed and available for search on http://familysearch.org or leverage the free help from volunteers ready and willing to help you do your family history. 6. Goblin Valley – filming location of Galaxy Quest. I really love Goblin Valley. It’s one where you can drive right up and be in another world. The hoodoos are wind and rain shaped fairy chimneys. They remind me a lot of Cappadocia region of Turkey. As a young boy we met up with our cousins and hiked around following trails of flint. We found a few small arrow heads and one large one. What an incredible place to go rock hounding (outside the park of course). Very narrow Slot canyon hike near Goblin Valley. One of my favorite hikes is this narrow hike which completes nearly a full loop. The water has carved out a narrow slot. If it looks stormy at all, definitely avoid it. You might avoid it if you have claustrophobia, but it’s amazing. It can get hot during the highs of summer, be sure to carry water. 5. 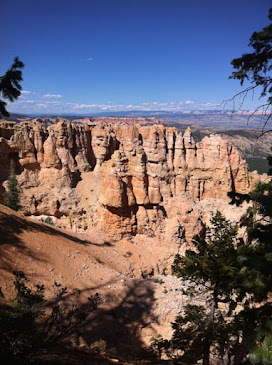 Bryce Canyon – Some of the most amazing vistas and canyons in the world. You’ve heard of Grand Canyon, but this is something you should combine with that trip. Bryce Canyon is fabulous. It’s another place you can drive right up to incredible vistas, hop out take a bunch of photos and stop at a new view of a different part of the canyon and take in a completely different view that again will blow your mind. You can do this for hours. As well take a horse ride, ATVs, or hike on some of the most incredible ridges. There are easy hikes and longer hikes… something for everyone. You’ll definitely appreciate our world a lot more after seeing it like this. 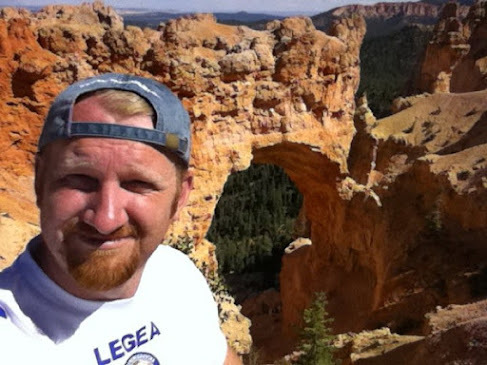 This natural arch is just one of the stops you can do along the road through Bryce Canyon. We’ve done family reunions in this area. There are so many parks and outdoor things to do you can easily fill a week multiple times over. 4. Monument Valley – Near the four corners area where Utah, Colorado, Arizona, and Nevada meet up are some incredible sunsets and majestic plateaus including easy day trips to Mesa Verde in Colorado. Navajo Tribal park. 4. 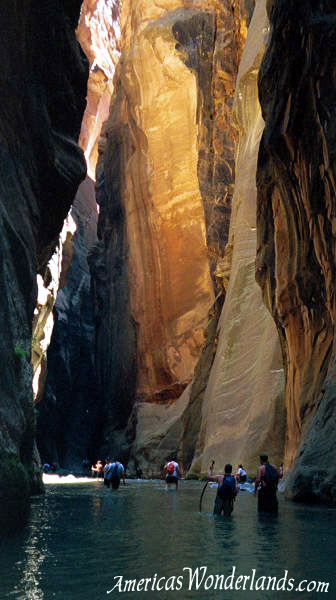 Zion – with nearly 3 million visitors a year this is Utah’s oldest and most famous National Park. The park is known for its incredible canyons and spectacular views. Famous hikes including The Narrows, Subway, and Angels Landing attract adventure enthusiasts from around the world. Memories of 72 hours should come to mind. I was going to do Subway with my cousins this year. It’s an 9.5 mile hike through narrows, complete hiking through rivers. 3. Arches – You may have seen the world famous Delicate Arch, but Arches National Park contains the world’s largest concentration of natural stone arches. This National Park is a red, arid desert, punctuated with oddly eroded sandstone forms such as fins, pinnacles, spires, balanced rocks, and arches. The 73,000-acre region has over 2,000 of these “miracles of nature.” These are great day hikes. If you want to do biking, driving, or off roading there are lots of options in this area. Plan on staying in Moab and spend a few days in this area. 2. Temple Hopping – There are over a dozen temples across the state. If you simply try to visit them all you’ll see some of the most amazing construction dedicated to God, and see a variety of different communities. Pictured below is the Brigham City Temple currently under construction which will be open for visitors this is a very unique opportunity to see an LDS temple as visitors may only enter prior to it’s dedication unless you hold an LDS temple recommend which requires you live worthily and have a temple recommend interview with your Bishop and Stake President. As an interesting fact… The Logan Temple, The St George Temple, and the Manti temple were all finished prior to the Salt Lake Temple which took 40 years to complete as is still the largest temple of the more than 136 temples dotting the globe. Is it a birthday cake or a spacecraft? 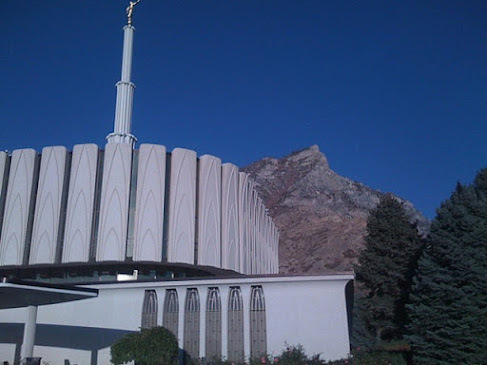 Provo will have 2 temples, the first city in the world. The old Provo tabernacle is being converted into a temple after a fire and reconstruction. Location: 250 South Main Street, Brigham City, Utah, United States. Ordinance Rooms: Two ordinance rooms (two-stage progressive) and three sealing. Total Floor Area: 36,000 square feet. The general public is invited to attend an open house (video invitation) of the Brigham City Utah Temple. Admission is free, but reservations are required. Reservations: Open house tickets will be made available beginning Monday, July 30, 2012, at 10:00 a.m. at templeopenhouse.lds.org. Take a cave tour in Timpanogos Caves. Take a ranger led cave tour through a 1/3 mile with gravity defying helectites with all the famous formations on a 3 – 3.5 hr hike and cave exploration. The cave is great. There are more adventuresome cave splunking if you want to get off the beaten path. That route requires advanced permission. If you’re a hiker, then this is the hike for you. Alpine lakes, Glaciers, Mountain goats, and wreckage of a B-25 air force jet, Timp is amazing. It is a popular hike, but a great workout with a great payoff and one you can do in a day, but you’ll want to start early. The Hike to the summit of Mount Timpanogos is 11,749′, the second highest in the Wasatch Mountains. 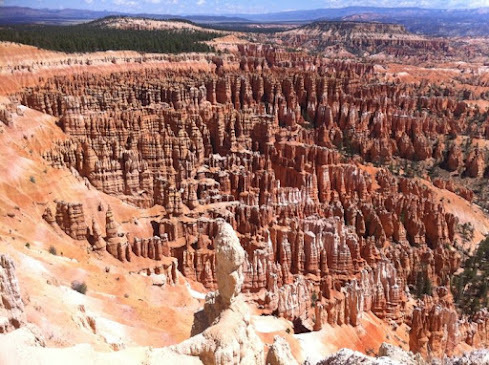 Many consider the hike from the Timpooneke Trailhead to be the best hike in Utah. Reaching the summit will require 4-5 hours. The summit is 7.5 miles one-way with an elevation gain of 4580′ on a well-maintained trail. There are a few scary parts if you’re afraid of heights, but the trail itself is not too technical. Salt Flats – Bonneville. Great stop after seeing the Great Salt Lake. Consider day or overnight trips from St. George or Moab to the Grand Canyon from Park City you could go into Wyoming and even work your way up to Jackson Hole, and Yellowstone quite easily. It is really funny because New York is actually at the BOTTOM of my list of U.S. places to visit. I have been there and done that. Outside of Broadway musicals and seeing the statue of liberty, there is really nothing to see in New York. It is a big city like all other big cities in the world. If I were to make a top 10 favorite places to visit in the U.S., I would put Utah as my number one and Jackson Hole, Wyoming as my number two. Utah has SO much to offer. It has FATASTIC snow skiing — probably the best in the Western Hemisphere. 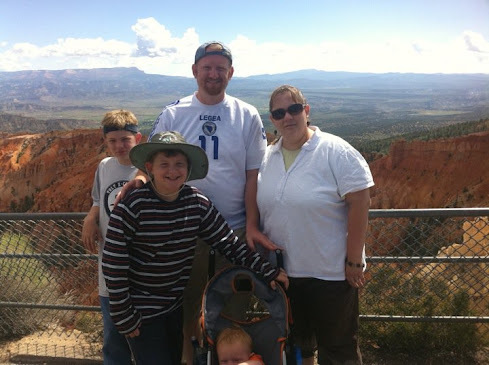 There is Zions NP, Bryce Canyon NP, Arches NP, Canyonlands NP. Lake Powell is possibly my most favorite place on earth. Bear Lake in the North in gorgeous. The various Mormon temples are fascinating. Spanish Fork and the Lotus Temple (Hindu Temple) is home to the largest color festival in the world outside of New Dehli. I would also say a summer or winter visit to Snowbird is a must. That’s great to hear. Utah is really fantastic and you bring out a lot of great points. I’ve visited the Lotus hindu temple even outside of the color festival and it was great.